Get to know the Igreja Matriz da Exaltação de Santa Cruz Mother Church, in Batalha, Portugal. The Igreja da Exaltação de Santa Cruz Church, or Batalha Mother Church was declared National Monument and it is located in the heart of the city of Batalha, Portugal. 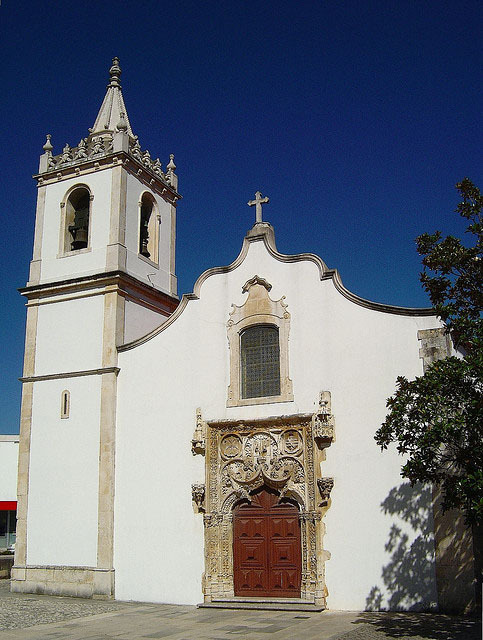 This church has a stunning Gothic facade and some Manueline decorative features. It is a noticeable building, though it is a bit damaged. It was built in 1540 for the population growing around the construction of the Monastery of Batalha. Its architect was João del Castilho. Inside it stand out the main altar made of embrechado marble (typical Portuguese decoration made of shells or crystals), and the finish of the revivalist tower.